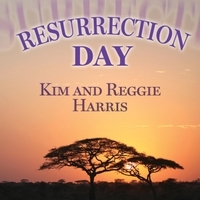 Kim and Reggie Harris - Lyrics and special thanks to our Resurrection Day Pre Buy Partners. With special thanks to our Resurrection Day Pre Buy Partners. You all made the difference!! Kathie Lovell, Barbara Dean, Jerald King, Joanne Coonradt, J. Brissler Perlsweig, Elizabeth Simcoe, Barbara Shiller, Elisabeth Roper, Kathleen Sturgis, Joseph Uehlein, Ellie Walsh, Holly Near, Cecily R Pilzer, Kathleen Kelly, Kent Ida Rush, Joyce Lang, Coco Wilde, Margaret T Bryner, Richard Broadbent, Nan H Mutnick, Sharon Blevins, Carla Mason-Ness, Lyman Johnson, Catherine Shreve, Jeff Bernstein, Sue Alexander, Natalie Daise, James Altes, Susan Bramer, Susan Deckhart, Mark Mandel, Carol L Day, Claudine Crooks, Barbara Eckhaus, Karen Mihalyi, Christopher DeGiovine, Michele Holt-Shannon, Amy MacDonald, Katherine Rhoda, Alison Frost, Rosalind Flynn, Jack Manno, Sr. Dorothy Hall, OP, eliSabeth Taylor, Jonathan Kligler, Lynne Silverstein, Barbara and Robert Seiler, Albert Berwick, Brian Forist, Amy Sheon, John Newns, Marcia Daft, Gordon and Gayle Dragt, Mark Kotkin, Doug and Darcy Orr, Marian Warden, Susan Bickford, Eileen Hower, Edith T Hunter, Susan Iekel-Johnson, Amy Blake, Beth L. Adams, Dennis McDonald, Steven Brooks, Marian Shearer, Margaret Zold, Patricia Grip, Gordon Gibson, Lizz Sarfaty, Gail Burger, Stephen Allen, Sue Ulrich, Laurie Gallup, Barbara Weiss, Stan Stokes, Kathleen Donelan, Sarah Culp, Alan Greene, David Cohen, Steven Finner, Margaret G Skinner, Sue Rosenthal, Mary Meehan, Harry Grace, Kathryn Sullivan, Barbara Carr, Matt and Nancy Daynard, Judith Greenberg, Raymon Parker, Linda Champanier, Thomas Costello, Debra Cowan, Sandra Boston, Ronald Dievendorf, Patricia Healy, Dannielle Swart, Jonathan Elion, Stephen Allen, Bo Arbogast, Robert Constantine and Lillian Atkinason, Nan Anderson, Jesse, Bruchac, Judy Beisler, Amy Blake, Polly and Alan Carroll, Gail A. Burger, Jim Carey, Olivia Cousins, Judy Neveu, Barbara B. Carr, Claudine Crooks, Carol L. Day, Kathleen Donelan, Elizabeth Goff, Glenn Gall, Mary Hammond, Harris Lapiroff, Ami Lanning, Val Minett, Sarah Lockard, Peggy Malone, Dot Nielson, Dave Parsh, Barbara and David Powell, Lawrence Wallach, Maayan Plaut, Hermetta Harper, Alison Ricker, Lizz Sarfaty, Amy Sheon, Stan Stokes, Sue Ulrich, Katherine Waide, Steven Volk, Angela Wu. AND A SPECIAL THANKS AND TRIBUTE: For over 25 years, Kim and Reggie were represented by Vivien Niwes Van Buren, their faithful agent, manager and friend. Through many years of hard work and many creative endeavors, Viv helped Kim and Reggie to build and grow much of their career dreams into reality. Their relationship was one of the rare ones and Kim and Reggie offer their deep gratitude and love to Viv and to husband Richard for many years of shared friendship and support! All the best to you both! Do you know and do you care?" Now won't you come on along with me? Be a million when we're gone! What happens now if we fail! But it feels so new with you! But I feel so young with you! But I'll save this piece with you! To the tornado in your eyes. You can never go back once you've tasted freedom. But I'll share this space with you. I'll live to dream with you! Cause it's all right... it's over! And it's all right ... it's over. Will I get over? Can I get over? But that's all right... it's over! You found the grace to say it's all right...It's over! Now that it's over. You know it's over. And let the angels sing. You can rise right up! and learn to spread your wings! Fresh from a dream I... call out for you. Here in the shadows...I think of you. How long can this heart defend? How can it last one more day without your sunlight? Here and now with you / I'm here and now with you! Echoes of love, my / heart beats for you. What words can I hope to say? With one good shot you can win the game! Makes a difference/ oh, but you've got to start! When you lighten that load the engine can do its part! Make that move/so we can change the wrong to right! And we'll keep singin'... let there be no doubt! It's a wonder we make it through with any measure of grace! Until we learn to let it go / Open heart... open mind. When your dreams turn to dust. When it's all you can do to start over again and again. Some insist that it's fate. But for the answers, we wait. There in the model of doubt there is one thing that?s sure. With work and with time...we rise. Still it's never too late to find your way home! Cause it's all about faith / it's all about trust. in our homes/ in our town! We've got deacons in our church... in our home...etc. Ya better tell Congress... He's comin'. He's gonna straighten out all you members when he comes. We got singers in our church... in our homes... etc..
Now why don't you work like other folks do? Now, why don't you save all that money you earn? Well If I did not eat, I'd have money to burn. Well, the boss will be broke, and to work he must turn. So tell me why am I starving out on this breadline? That the food banks are crowded while the bankers are fine? The work's not hard and it's... not that far! We can go in my car! You say you're not sure? I say... What's to know? What's to say? I'm all about the money! Haven't I been straight with you? Done everything I said I'd do? If it doesn't work out you can just walk away! Something here don't feel so good! if their only son goes now. The traffic is heavy... there's some hope needed here! that sold them to survive! Will we raise our voice? Will we draw the line? You say you wanna end slavery? It ain't just gonna happen! We've got to DO somethin'! Mama says "You better watch yo' step... cause you beside yo'self! Mama says "you better shut that mouth before you lose your health. You say they hurt your feelings? They just might take you out before they're through!" Mama says. "That's crazy talk! You got to know when to quit it! Be careful where you stick your point of view!" They say that if you fight you cannot win! You better know who is and ain't your friend! You gotta look em in the eye! Now it's up to us to see it through! Passion makes you swim against the tide. But ignorance won't have a place to hide! Just pick yourself right up and start again! The Series was on, but I didn't care! And those letters she left? Well, they've never been found. We were kids once again... that was clear! When mom left us here. But music and gifts didn't block out the pain. When I walked into that room! When I was howlin' at the moon! "No one knows you like I do! I was with you from the start! And I'll hold you in my heart!" She said "No one knows you like I do!" And she was right there from the start! As I hold her in my heart!" Since mom left us here! There are things that we know that we don't know we know, Come to the tree of life. Come to the tree of life. So you set out to discover the land. Oh...Roll on Woody ...Roll On! that kept good folks facin' the wind! Your words made it clear / Don't give in to fear! And speak out so they hear your voice. Chorus: So roll on Woody ...Woody roll on! Oh, Roll on Woody, Roll ON! It's a land made for you and for me! We won't be denied in the end! You gave us hope by singing your song. Oh...Roll on Woody... Roll ON!